Halloween books are a great way to get younger kids involved in the Halloween fun that are not-so-scary. There are way too many cute ones out there including the popular Spookley the Square Pumpkin and 5 Little Pumpkins stories. 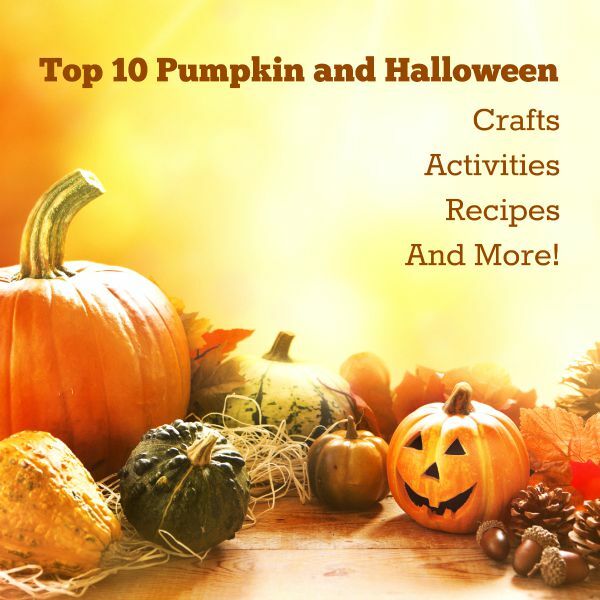 Make reading even more enjoyable with book-based Halloween crafts and activities. At the end of this post is even more Halloween fun from other kid bloggers who are sharing their Top 10 post (Monthly series – next month is Top 10 Harvest and Thanksgiving ideas!). 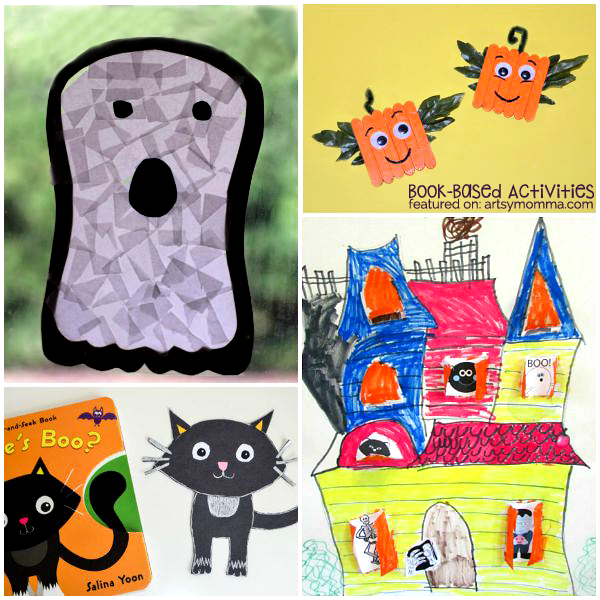 See more: book-based activities and Halloween crafts for kids! « Candy Corn Pizza Craft and more pretend play fun! These are fabulous! 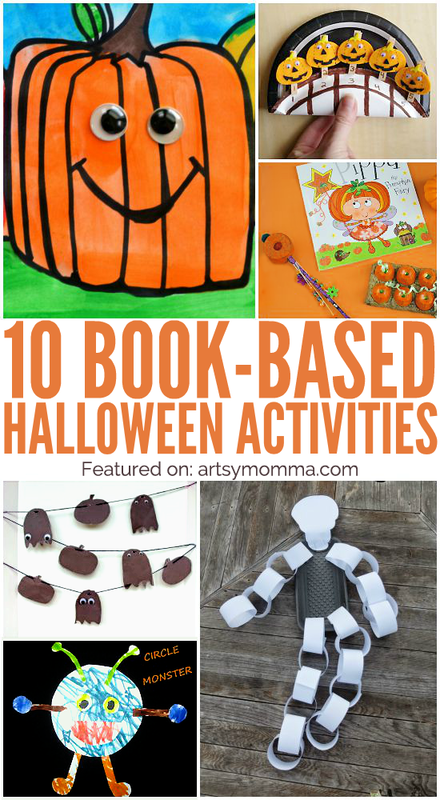 I love book activities and there’s a few here that are new to us. Off to the library! These are so adorable! 😀 Great ideas!